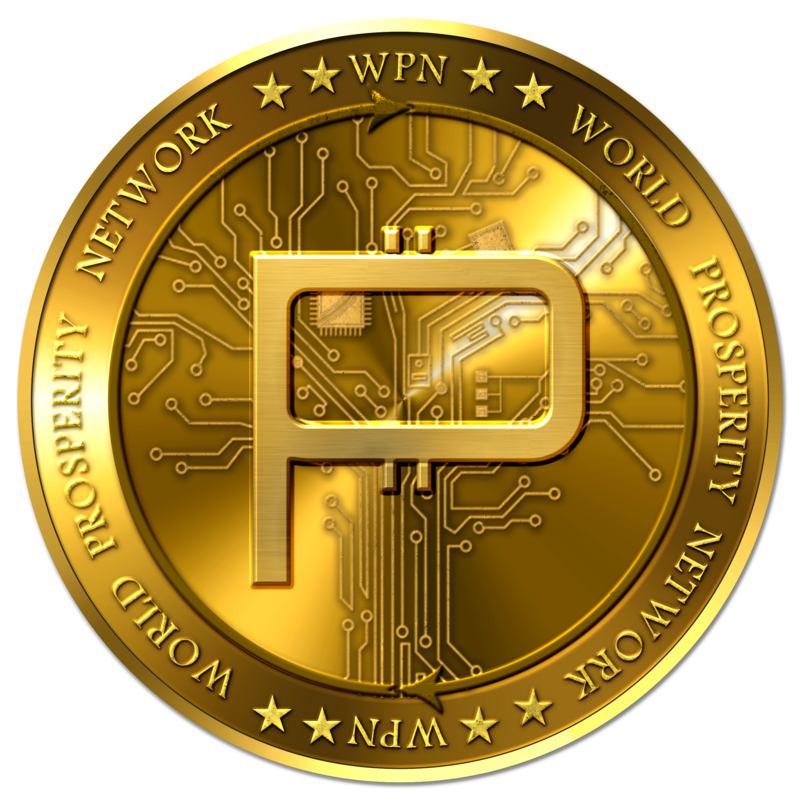 World Prosperity Network is Crowdselling its first 30 Million Prosperity Coins (WPN). 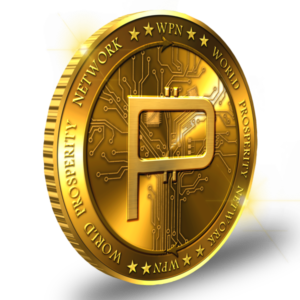 Join the worldwide movement by buying Prosperity Coin Now. Use MetaMask Below. 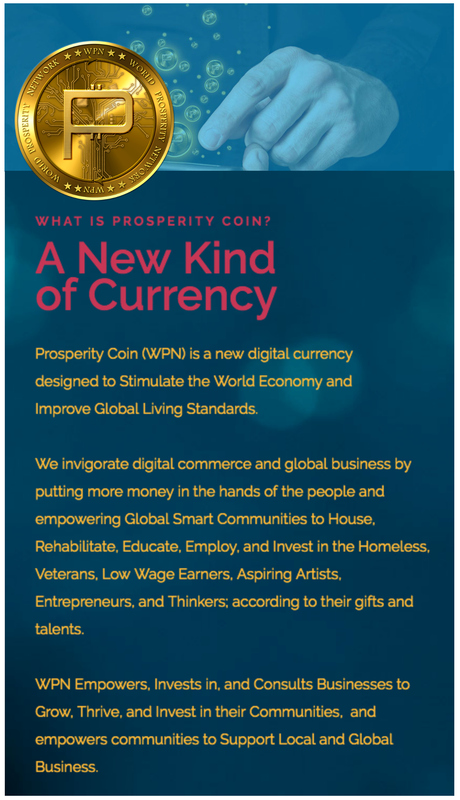 World Prosperity Network is a Sustainable SOULutions(TM) provider, connecting consumers, businesses, and causes with incentives to help solve real-world problems with the power of curency. While most systems throw more money at a problem, we use efficiency to solve problems with available resources. Experience a Currency with the Power to Deliver Your Heart’s Desires. It pays to give back with Prosperity Coin. Become an early adopter and cash in on Early Adopter VIP Offers and Exclusive Promotions. Prosperity Coin is an Ethereum Compatible ERC20 Token. Contract #: 0x57951C31278a45dDB2051cacD9aDA88b63C2276F. 18 decimals. Symbol = WPN. Take Your Power Back. Reward Companies that Help Make this World a Better Place. There's More Than Enough for Everyone to Succeed... When You Pay with Prosperity. Solving for Poverty and Disease frees humanity to evolve onto the next plane. We drive income and funding to businesses that support world prosperity. We don't need billions spent in research; We Invest in Real-World Solutions.